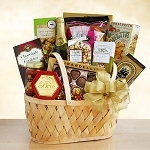 There is something extremely satisfying about giving a great gift to someone and seeing their face light up. 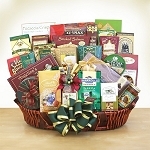 You know they appreciate the sentiment that went into the gift, and that's what GiftProse is all about, giving gifts with sentiment! 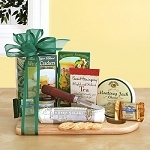 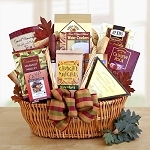 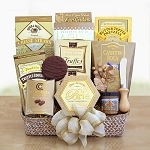 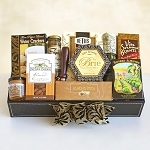 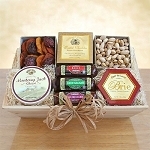 Whether it is to commemorate an achievement like a promotion or graduation, or to celebrate a special birthday or holiday, our selection of artfully assembled gift baskets full of extreme yumminess will not only max out their appreciation meter, they'll think of you with every tasty nibble. 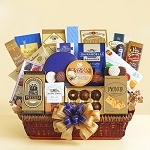 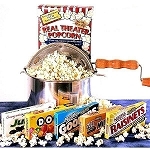 The business world can be a cutthroat environment, but when you send one of our fabulous corporate gift baskets to a valued client or deserving employee, you can be certain that the reward will end up going both ways. 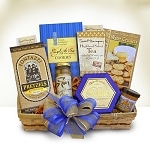 Choose from sweet tooth-tempting corporate gifts like the Sweet Nostalgia Candy Gift Basket, or go savory with the Signature Sausage and Cheese Crate. 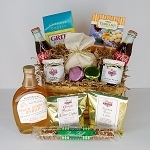 We'll add your custom message and send your gift basket directly to the recipient, making this the easiest task that will ever land on your to-do list!